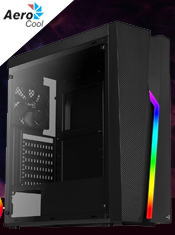 Cylon Mini is an RGB flow micro ATX case with a unique elegant backslash LED across the front panel with 13 lighting modes. 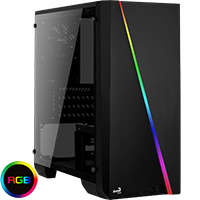 Comes with a tempered glass side panel and supports liquid cooling. 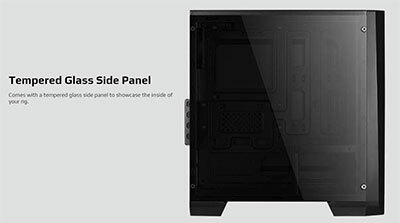 Unique Front Panel - Elegant backslash LED with 13 lighting modes on the front panel. 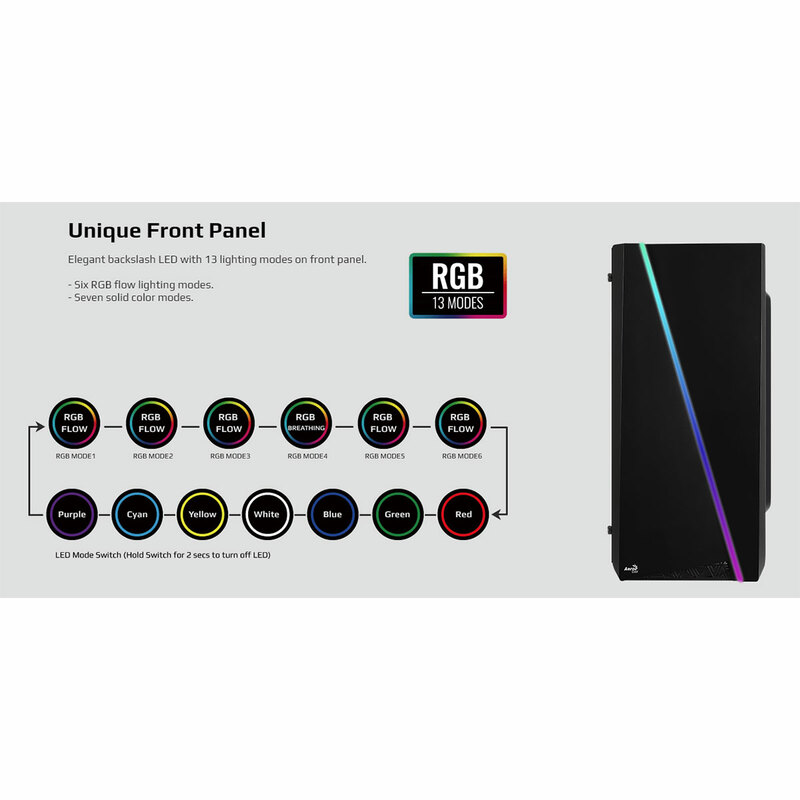 Six RGB flow lighting modes. 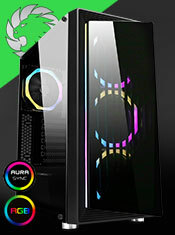 Seven solid colour modes. 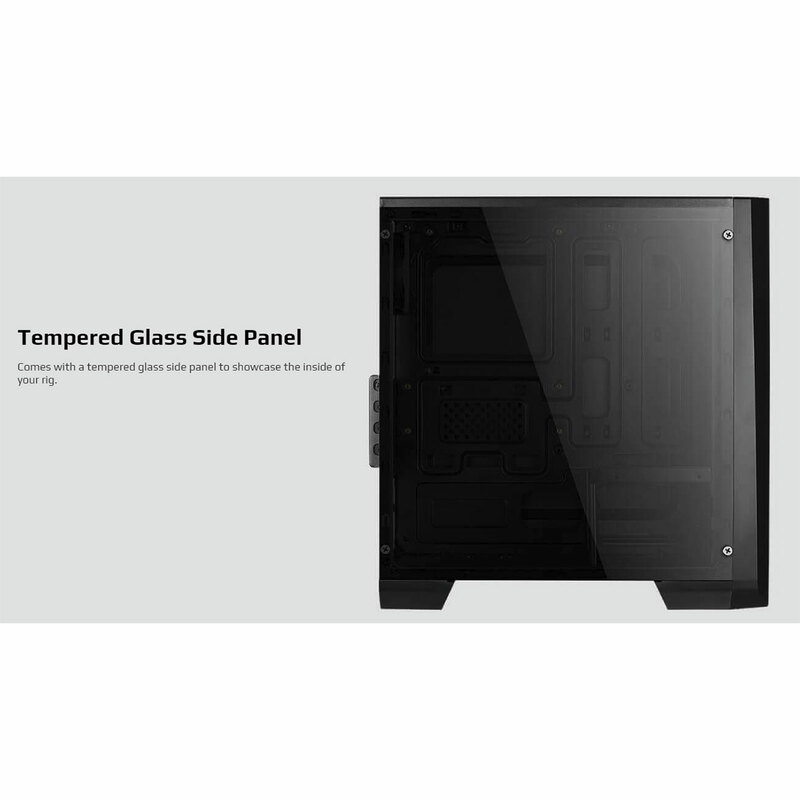 Tempered Glass Side Panel - Comes with a full tempered glass side panel to showcase the inside of your rig. 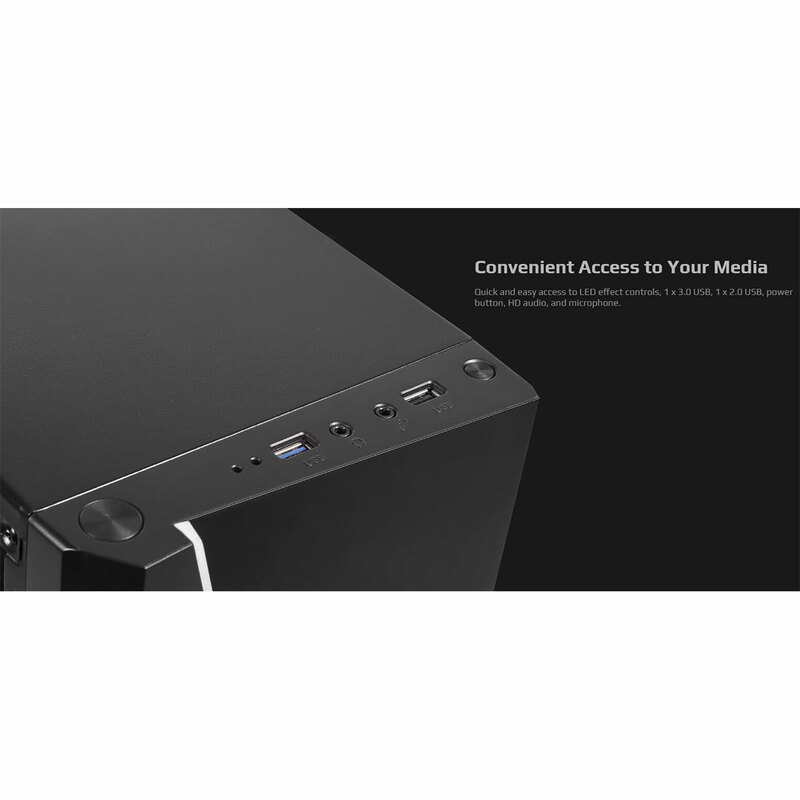 Convenient Access to Your Media - Quick and easy access to LED effect controls, 1 x 3.0 USB, 1 x 2.0 USB, power button, HD audio and microphone all from the top panel. 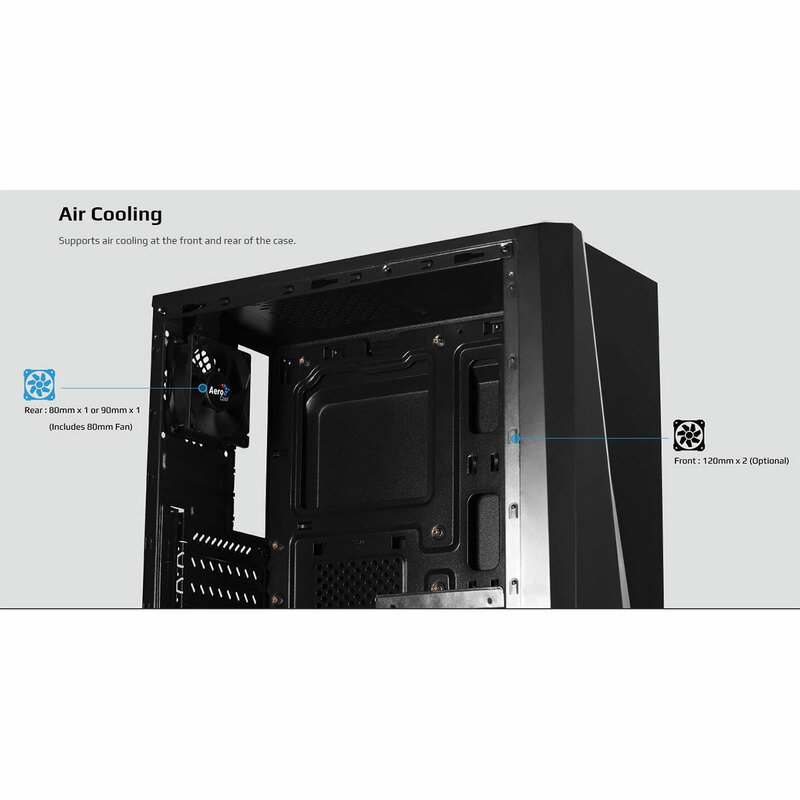 Air Cooling - Supports air cooling at the front and rear of the case. 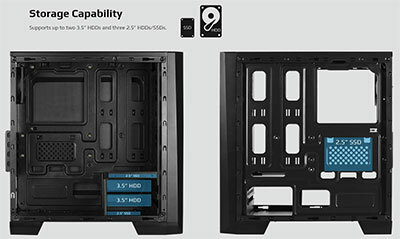 1 x 8cm rear fan included. 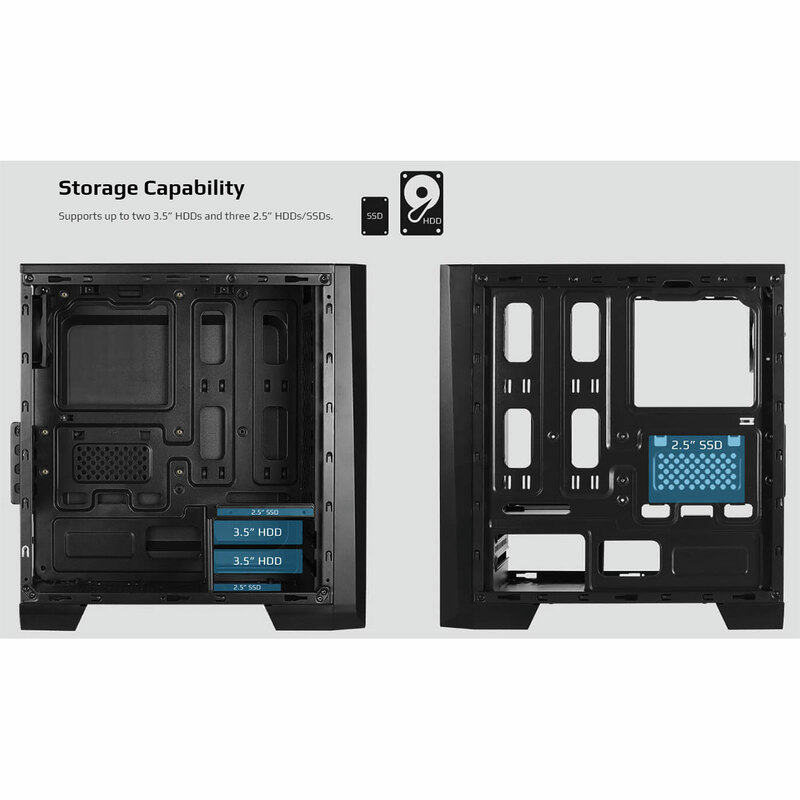 Storage Capability - Supports up to two 3.5� HDDs and three 2.5� HDDs/SSDs. 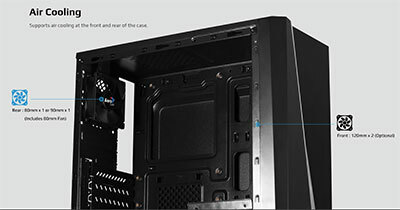 Easy Maintenance - Removable PSU dust filter and top panel magnetic dust filter for easy cleaning.